Going to a Glasgow university this September? If so, you’re in for an exciting time; as Glasgow is one of the best cities in terms of buzzing social scene and nightlife! However, making the most of the bars, pubs and nightclubs can quickly eat a hole in your budget. If you’re worried about managing money at university, here’s a quick guide to ensure that every penny counts. Chances are that you’ve already sorted out your loan to cover the costs of your course. Hopefully, you’ll also have applied for a loan or grant to cover the costs of living too! If you haven’t… two words. Hurry up! Obviously, you won’t know exactly how much you’ll be spending until you get there. However, you can certainly get a basic idea, providing you do some basic maths. Add up costs of accommodation, weekly food budget, phone bills and any other costs you’re likely to face, and get a rough idea of how much you’ll be spending on socialising too. Get a good bank account. Most high street banks offer student accounts, which can really help when you’re at university. Don’t just go with the account that your current bank offers, shop around! All banks offer different deals. It’s important not to be wooed by the freebies that they offer. Instead, look for one that offers an interest free overdraft, or other financial perks. Whilst it’s unlikely that you’ll get burgled at university, theft does happen. So too do accidents, and many students have mourned the loss of their iPhone to the toilet bowl, or their laptop to an accidental drop down a flight of stairs! If you’re taking valuable items with you, make sure you’ve got them covered, should the worst happen. Once you get into the swing of managing your finances, you shouldn’t find it too difficult. However, here’s a few pointers to help you avoid getting into debt. If you’d like to supplement your student loan or grant, look into local jobs in your area. There are likely to be plenty of weekend or evening jobs in the area; Glasgow is full of bars, pubs, shops and other entertainment venues, all actively seeking people like you to come and join their team. Don’t get into financial trouble. It’s best to see your credit card as an emergency way of helping you out for a short period of time, not a long term solution. The stress of getting into debt can really ruin your university experience, and it’s best avoided at all costs. It’s tempting to go overboard, especially in your first term when you’re keen to try out all the great places Glasgow has on offer to spend your evenings (not to mention your cash!). However, it’s a good idea to work out a budget, and stick to it as much as possible. It’ll save you a lot of hassle in the long run. 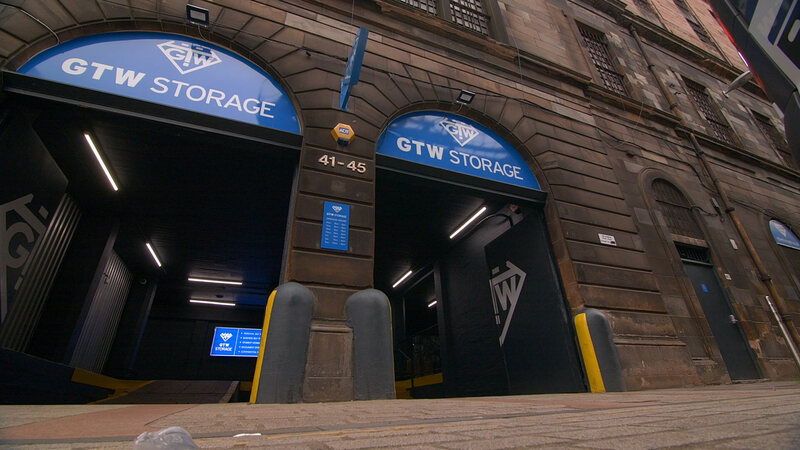 If you’re coming to Glasgow University in September and are looking for a low-cost self-storage unit to store your belongings (after all, that festival tent is a real hassle to store in your student room…) then check out the facilities at GTW today. We’re based in the heart of Glasgow, and we’ve got a wide range of storage facilities to suit every student budget, even if you’re strapped for cash! To find out more please visit our student storage page here.